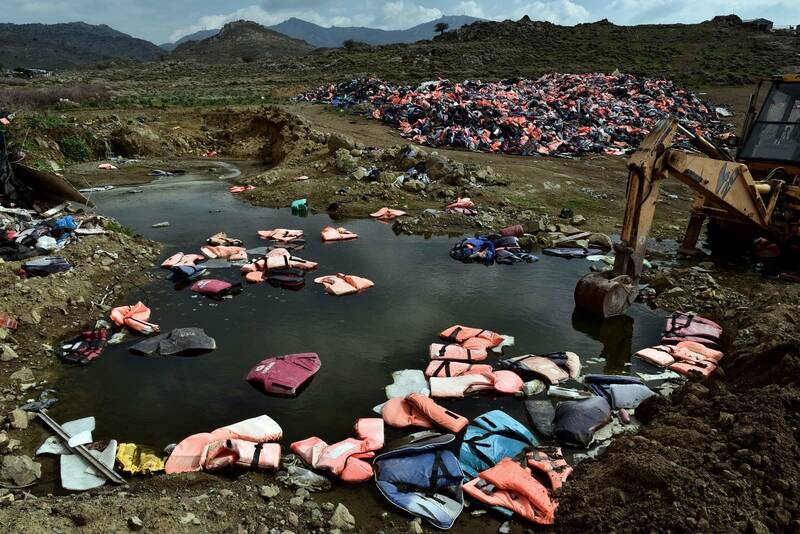 It's a stunning image: Thousands of life jackets piling up onto Greek beaches. They were worn by refugees who traveled by boat to escape war and poverty and finally reached safer shores. Now scraps of those discarded life vests are finding their way onto the wrists of Minnesotans. A young entrepreneur is turning those tangible pieces of the refugee journey into something more. Mohamed Malim, 22, has always dreamed of starting a fashion brand. 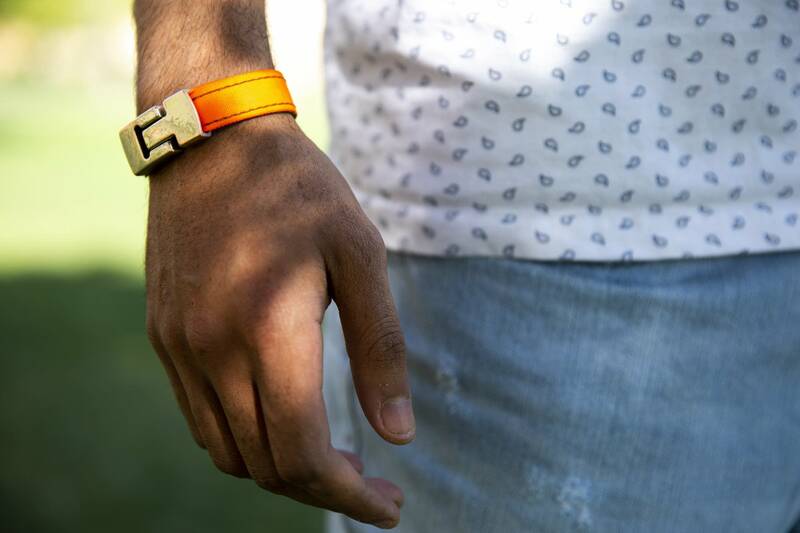 His first product is the eye-catching, blaze-orange bracelet. 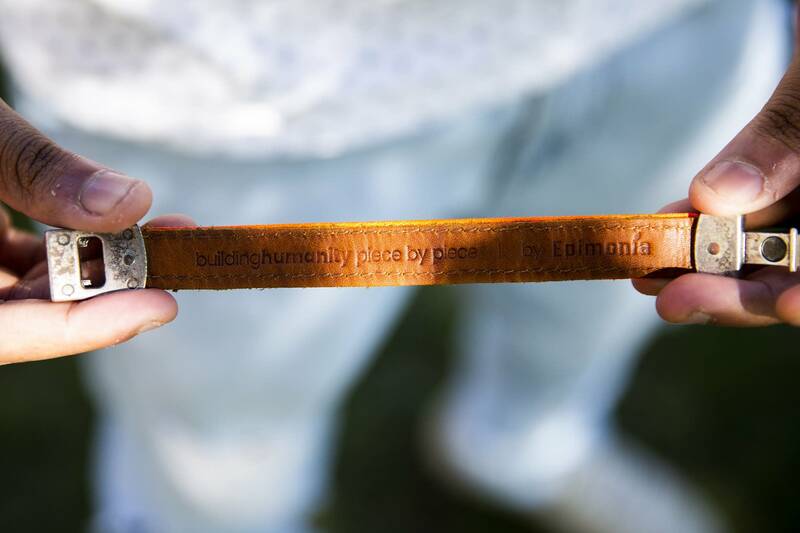 The outside material is made of recycled life jackets that refugees have worn, and the inside is leather inscribed with the words: "Building humanity piece by piece." He named his company Epimonia, from the Greek word epimoní, which means perseverance. The name of the accessory is the "embracelet." Malim says it's intended to be a symbol of embracing refugees and humanity at large. "We wanted to create these life jackets into hope," Malim said. Malim knows the refugee story firsthand. His parents fled Somalia's civil war, and he was born in a camp in Kenya, where he lived the first few years of his life. Today he's a senior at the University of St. Thomas, studying business. The embracelet is a vehicle for making money that he can then distribute to Minnesota nonprofits that serve refugees. Malim said the venture wouldn't have been possible without a key family member: his uncle, Omar Munie, a fashion designer from the Netherlands. Munie crafts handbags worn by some of the biggest names in his country, but he said he's derived the most satisfaction from designing products that are sustainable and have a deeper purpose. Last year he created the embracelet and started selling it in the Netherlands. Here's how it's made: Munie partnered with a nonprofit, the Amsterdam-based Movement on the Ground, that collects the life jackets from the shores of the Greek island of Lesbos. It's home to an overcrowded camp brimming with asylum seekers from places like Syria and Iraq. Workers in Munie's design studio, including six refugees from all over the world, make the bracelets using the orange fabric from the life vests. Each jacket can be turned into about 25 bracelets. Munie said he was grateful for the opportunities he's had ever since arriving in the Netherlands as a 9-year-old. But he worries that anti-immigrant sentiments in Europe and in the United States will make it harder for today's refugee kids. "I need to give something back," he said. "I know how these people feel. We have a little bit of pressure here, like, 'What are we going to do with all these refugees? We have a small country, and there is no space.' I had the biggest and finest opportunities. These people deserve the same opportunities I had." When his American nephew offered to sell and distribute the bracelet stateside, Munie didn't hesitate to partner with him. "America really needs it right now," Munie said. "It's painful to see what's happening there." In St. Paul, Mohamed Malim said he's sold 150 bracelets, mostly through social media. Epimonia's Instagram page features attractive millennials of all races sporting the $40 wristband. Malim said half the proceeds will go to Minnesota nonprofits that help refugees. He just cut a $1,000 check to a resettlement agency, the International Institute of Minnesota. But that's not all he's working on. With the help of a photographer and a journalist, Malim founded Dream Refugee. It's a website that features the stories of prominent refugees, from Somali-Minnesotan model Halima Aden to Carlos Gutierrez, a former Cabinet member under George W. Bush. 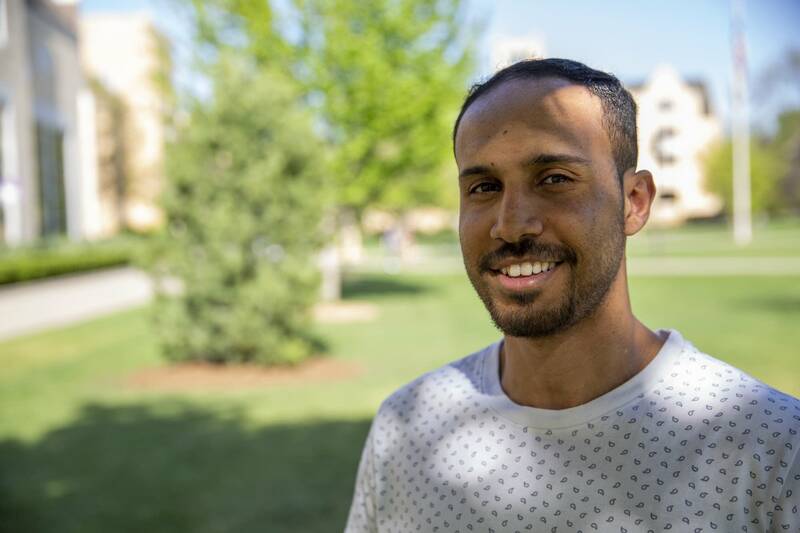 Malim said he felt he needed to do something after Donald Trump painted a bleak picture of the Somali community during a campaign stop in Minnesota. The imbalance of stories in the news can be exasperating, Malim said. "Come on, share stories of success," he said. "If you bring more [hateful] news stories about specific communities, you'll see a lot of hate. But if you transform, change that narrative and share success stories of how these Hmong communities or Somali communities — how these refugees contribute to Minnesota, you'll see [a community] more united and more hopeful." 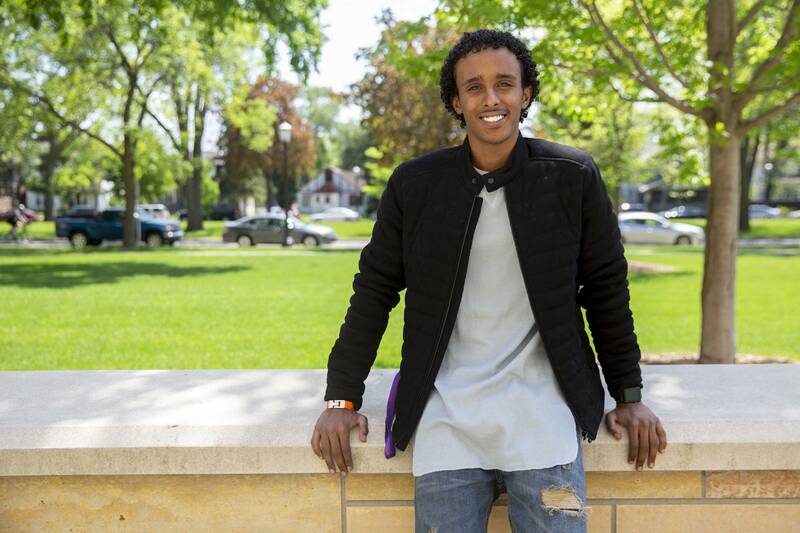 Malim, a graduate of Edina High School, brought on his childhood soccer teammate, Amin Abdulkadir, to help him with Epimonia. The two say they've begun to feel a more pronounced backlash against refugees and Muslims after Trump's election. But Abdulkadir said it might also have to do with the fact that they're becoming older and are no longer protected from hurtful rhetoric. Even while they were shooting a promotional video for Epimonia on the Stone Arch Bridge, they said, a middle-aged white man provoked them with slurs and told them to "go back to your own country." "He didn't even know we were trying to do something good in the world," Abdulkadir said. Malim graduates from St. Thomas on Saturday. After that, he plans to expand Dream Refugee and Epimonia and spread those stories of hope. Maybe, he said, those life jackets can be stitched into high-fashion handbags. Munie said he's proud of his nephew and will encourage him. When he was starting out as a designer at 17, his mother balked at the idea, Munie recalled. "That's what my mom always said to me — 'What? You're going to make handbags?' It was a very disappointing thing for her in the beginning," Munie said. "Mohamed, he has the same thing. His mom — who's my sister — I still need to talk with her to say, 'Let Mohamed do his own thing.' He's going after his dreams."